Gail Schumacher is from Radisson, Wisconsin. She attended Carroll College (now Carroll University) in Waukesha, Wisconsin. She graduated with a Bachelor of Science in Business Administration and a minor in Religion. From there, she went on to working in the elementary school and youth ministry near her hometown for 5 years and then trained to be a medical secretary/transcriptionist before marrying and having her family. She has thoroughly enjoyed getting to stay at home with her kids for several years. She has a love for people of any age. In 2012, she lost her dad, a very special man indeed, at the age of 92. Through his life and as he aged, she learned a bit about how Medicare, Medicaid and our Veteran’s system works. She truly took on the role of being an advocate for him in his final years. She feels blessed to get to provide some computer and office help with Jan, Kirsten and Kim. 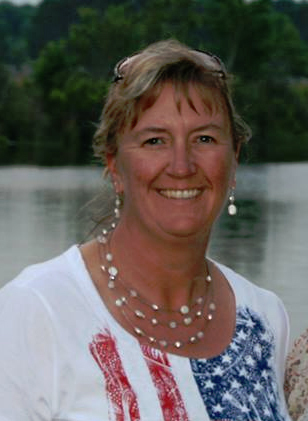 Gail and her family moved to Berthoud from Minnesota in 2003. When she’s not in the office, she is an involved volunteer at the Berthoud schools, loves to read, scrapbook, walk and hang out with her husband and kids.